Up this week, football is back and Donnie is the world’s worst Fantasy Sports commissioner. 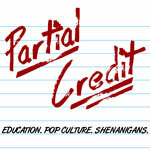 We share a little bit about what’s going on at our schools, and we discuss what fictional school we’d like to attend. Donnie - Rube Goldberg Machine videos. Students learned I was a Patriots’ fan, started to smack talk. Also, students learned that I liked Superman more than any other superhero. Jesse - Stephen Colbert Connects Chance the Rapper with "Lord of the Rings". Finding authentic examples of popular culture and how even the most current stuff has roots in classical music and literature. Jeff and I created a Copy/Paste Spotify playlist. Jeff - SPA visit with teachers and running into Jose! What real or fictional school would you want to attend? Why? Jesse - Hogwarts School of Witchcraft and Wizardry is the best!